OPD lies and ignores their own protocols when it comes to activists. They arrested us on trumped up charges. 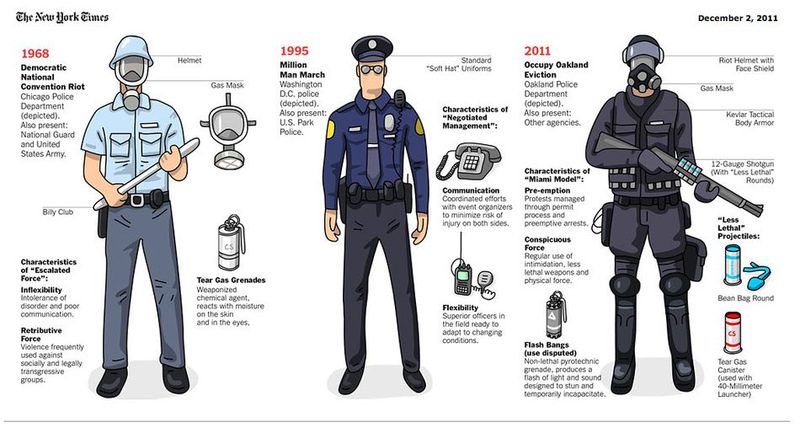 They arrest people on antiquated statutes. They feed witnesses names, sometimes the wrong names. They shoot rubber bullets and tear gas directly at innocent people at close range. They keep the ambulances away from crowd control situations. They do nothing to help protesters they have injured. They lie in court. They chase sleeping homeless people off benches. They refuse to come to poor neighborhoods after shoot-outs. They refuse to show up to burglarized homes. They don’t prosecute or even arrest people who have plowed into crowds of protestors, seriously injuring people. They make false claims, giving photos of people to the press, accusing people they don’t like of things they know they haven’t done. They block all exits and then arrest people for not obeying impossible orders to “disperse.” These are the things I have personally witnessed. 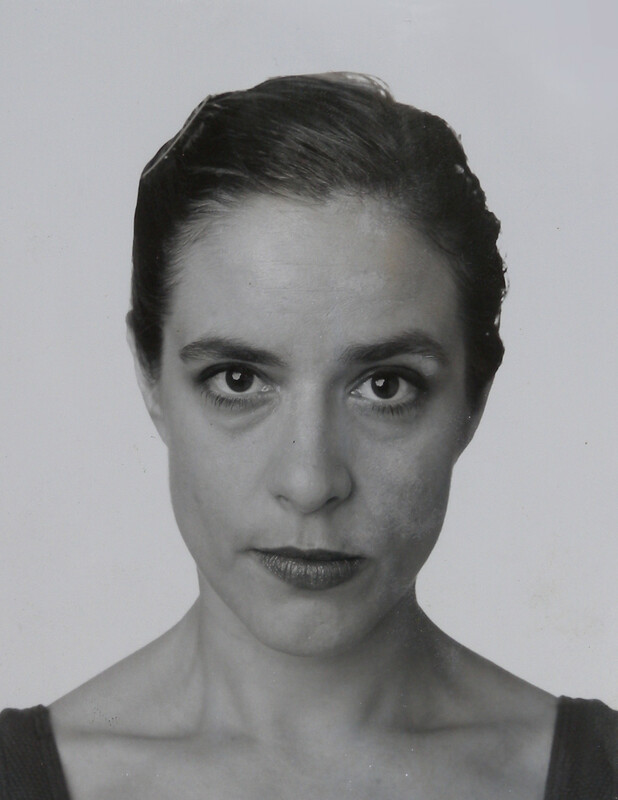 I’m not alone. 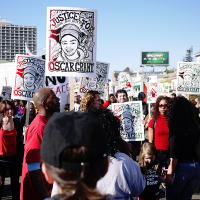 Oakland spent over 74 million dollars between 1990 and 2014 to settle over 417 police brutality lawsuits. That’s taxpayer dollars. Chalkupy believes OPD has gone too far. Our second act would be to chalk the police. For it, I redesigned the OPD badge. 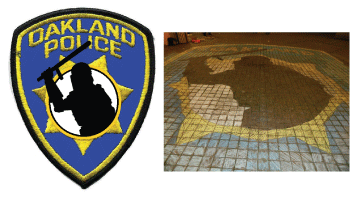 OPD badge rebrand and final chalk. 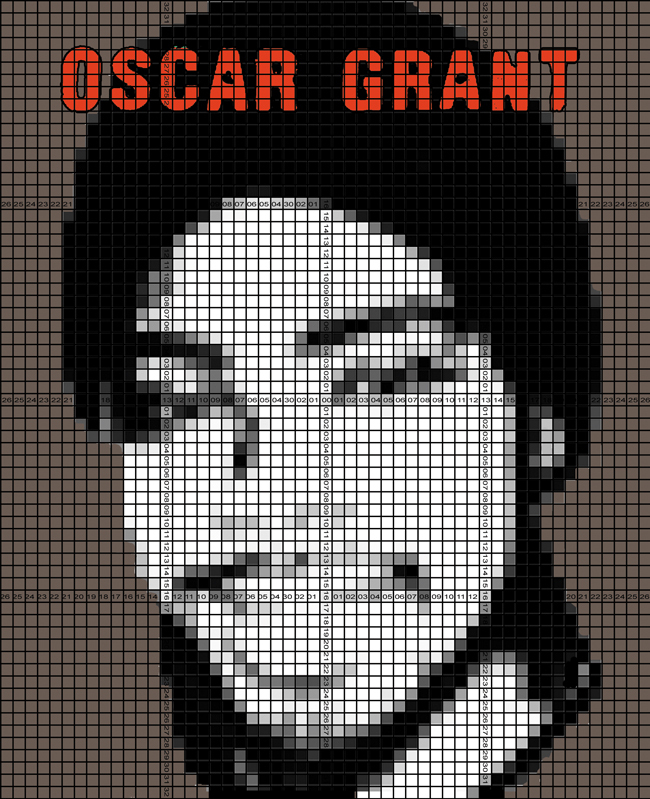 Oscar’s murder was caught on multiple cell phones and the videos led to an almost universal outrage. 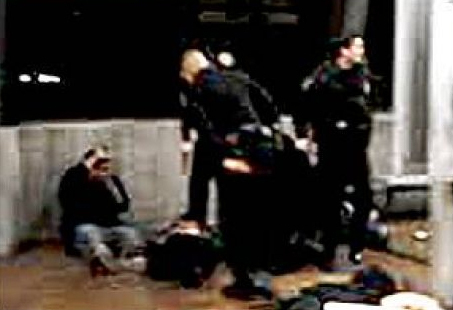 The videos show BART officer Mehserhle shooting Grant in the head while he is handcuffed, face down on the ground. 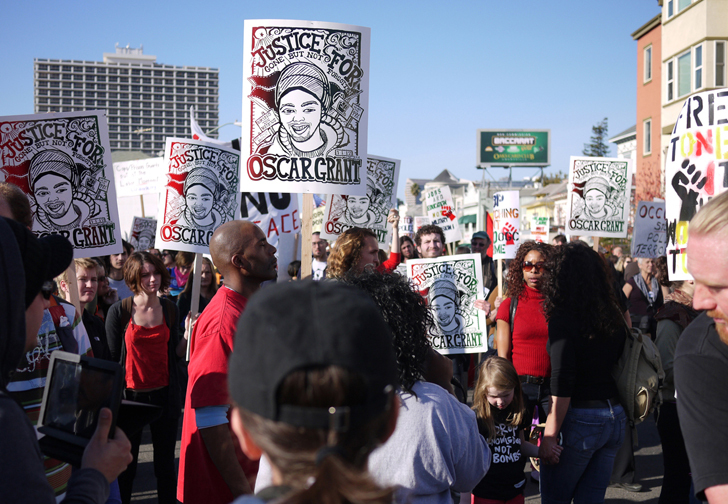 Officer Mehserle’s trial was moved to LA, where he was convicted of a lesser offense than the original murder charge which led to further protest. The video is hard to ignore. It sure looks like a cold blooded shooting of a face down, handcuffed man. The videos are probably the only reason he was convicted of anything. 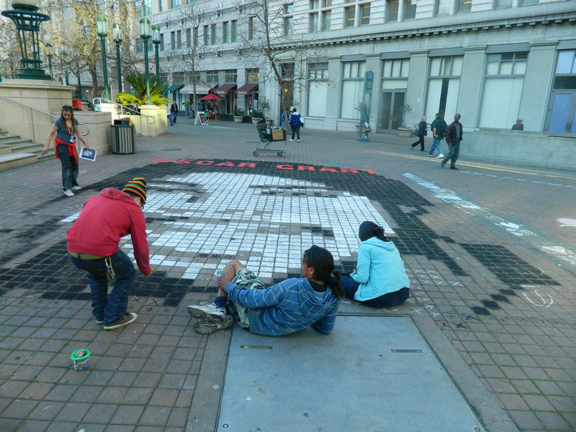 Occupy Oakland renamed Frank Ogawa Plaza, the park in front of City Hall: Oscar Grant Plaza. 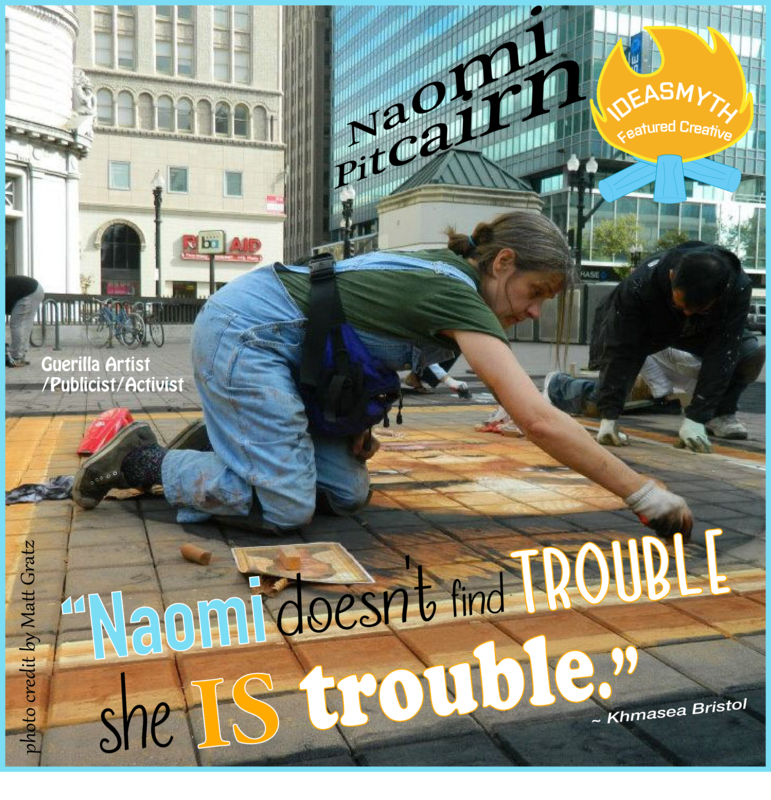 Posted in Featured Creatives, Good Ideas, Inspiration, Jubilation, Performance Ideas and tagged activism, art, Featured Creative, jubilation, Naomi Pitcairn.